Discover the Name is arielsan's entry for Ludum Dare 19. It is a puzzle action game where the objective is to make the ball reach all the crosses safe. To do that, you will have to discover a safe way of blocks avoiding others that will break if you get over. If you fall, you lose. Entry version is a frozen and stable version for the ludum dare 19 competition. Development version is the latest stable version of the game. This version contains an editor available, to test custom levels, to open it, when playing press E key. You can put items with left mouse button and remove them with right mouse button. With number 1 you put ball start positions. With number 2 you put breakable blocks. With number 3 you put unbreakable blocks. With number 4 you put targets. 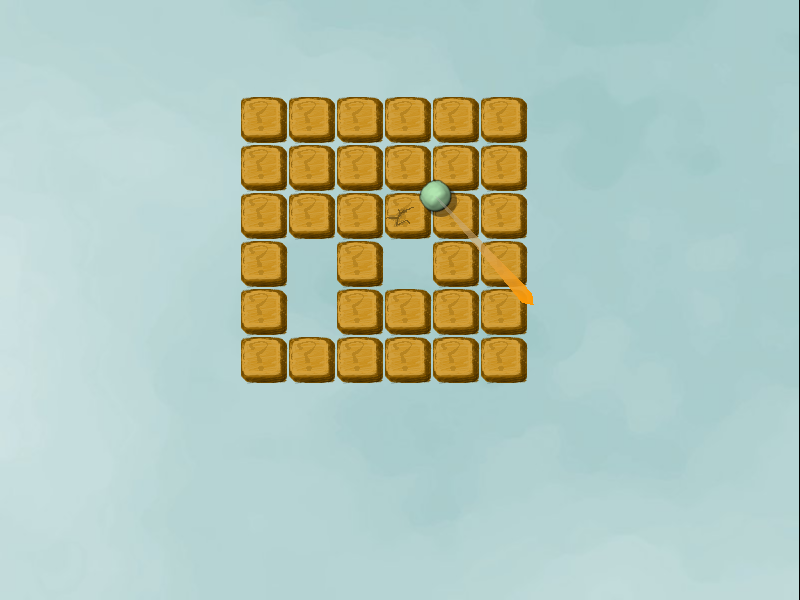 Press Return to test the level, and Escape to exit editor.